Given that we Sacramentians are lucky enough to live in one of the most fertile regions on Earth, it’s a given that we have an avid gardening community in our area. While there are many fine nurseries in town, The Gifted Gardener is right on the grid and specializes in every gardening accessory needed to beautify our botanical endeavors. 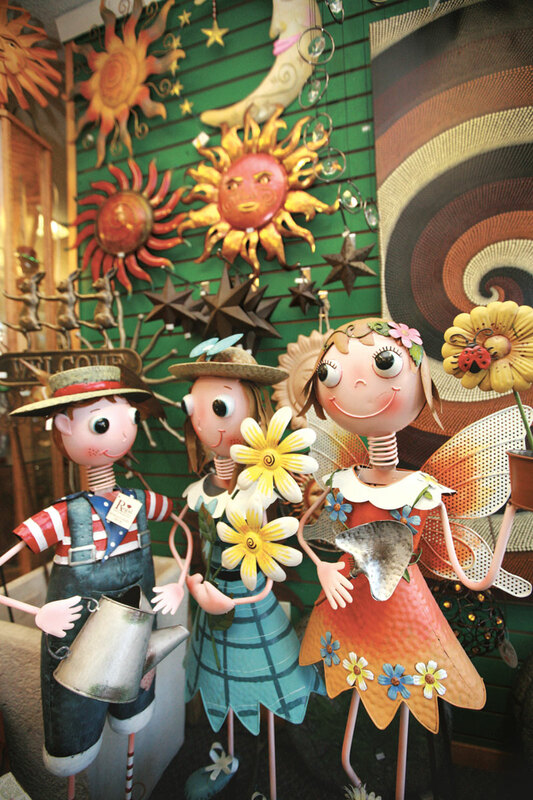 Here you will find everything from hand tools to bird feeders to coffee-table books on every flora imaginable, not to mention the finest selection of gnomes in Midtown. Backyard fences are perfect to hang art on and The Gifted Gardener has an eye-catching array of very affordable pieces to accentuate your little paradise. Also, the very friendly staff can answer most any questions about local gardening that you have. Owner David Kwong is especially proud of the ceramic pots made by several local artists and despite the quality and beauty of the pieces, most can be had for less than $30. During December, the store is having a huge sale to reduce stock for their move to their new location in May, just in time for the holidays.